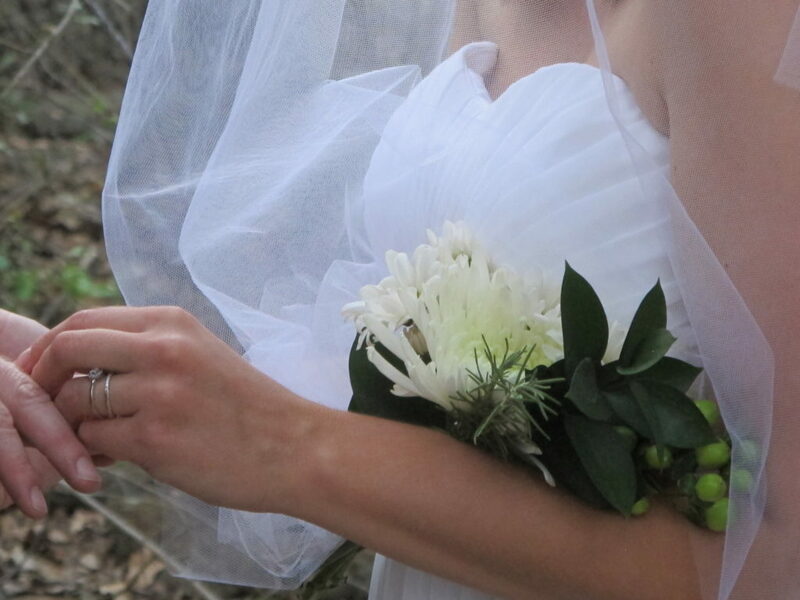 We offer 2 simple but very personal elopement packages here at Star of Texas Bed and Breakfast. Most of our couples say they chose us, because of our reviews and they love the simple and stress free packages that we do offer. Our beautiful Texas Hill Country property is covered in Oak Trees and winding trails that lead to some amazing ceremony spots for your elopement. We allow you to select the location that best fits you as a couple, from the Rock Moon Gate to hiking the trail and getting married in the woods,( even in a Kilt). We have had some of the most creative couples marry here and we love the uniqueness of each of them. Our romantic wedding venue is a prime location centered in Texas and an easy drive from all over the state. While here you can enjoy local eateries, great wine tasting and lots of nature right up to your door. We include everything right here for the ceremony and have lots of flexible times available for making your special day one to truly remember. We do offer Intimate weddings where you may add up to 30 guest to share the day with you. What ever your looking for in the Perfect Elopement, we would love to visit with you and work out all the details for your memorable day. This entry was posted in Hill Country wedding packages, Intimate Texas Weddings, Romantic Texas Getaways, Texas Elopements by admin. Bookmark the permalink.